Just like most online casinos, Bob Casino offers its players an impressive variety of incentives. New players are welcomed with ten free spins. Moreover, they are rewarded with cash bonuses and free spins on their first and second deposits. Active players can also extend their bankroll using VIP rewards and other promotions. Bob Casino offers an extensive list of casino games on their library. Punters are served with a variety of slots games from renowned software developers such as Microgaming and NetEnt. Players who do not fancy slots are served with a variety of table games such as roulette, blackjack along with some video poker. The number of deposit options offered to players at Bob Casino is impressive. Punters can fund their accounts using credit/debit cards and some e-wallets such as Skrill, Neteller, Trusty, PaySafeCard among other options. All deposits are instantaneous, and deposit limits depend on the method. Since Bob Casino is a bitcoin casino, Cubits are allowed. When it comes to remitting winnings to their bank accounts, Bob Casino’s players can use e-wallets, credit/debit cards, and bank transfers. Compared to other online casinos, withdrawals are processed within 12 hours or less. However, withdrawal times depend on the method used. For fast withdrawals and verification, players might are required their documents to their profile. 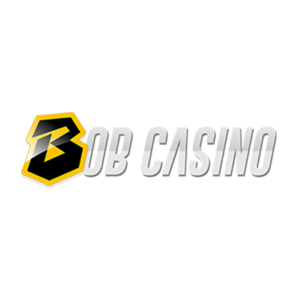 Bob Casino is available in several languages, which are Swedish, Finnish, English, Polish, Russian, and Norwegian. As far as languages are concerned, this casino is not very impressive, but other casinos that could be worse. It is worth noting that Bob Casino measures up well on this front considering that it is a relatively new casino. Bob Casino accepts different currencies, including Euro, US Dollar, Australian Dollar, Canadian Dollar, Norwegian Kroner, Swedish Kronor, Russian Rubles, and the Turkish Lira. However, the accepted currency for international players is the Euro. It is also worth noting that the casino also allows the use of Bitcoins as a secondary currency. Bob Casino is an instant play casino. This platform is playable on both computer and mobile browsers. Players can now play their favorite casino games on their smartphones and still enjoy the same experience. Bob Casino offers an impressive list of live dealer games for players who prefer a real casino experience. Bob Casino has an able customer support department. Players can reach the support team via the live chat feature, which is available 24/7. Punters who do not find the live chat convenient can reach the support team using the contact form on the website and get the help they need by email.